Bedding Information: 1 King, 2 Queens, 2 Twins, 2 Portable Futons. 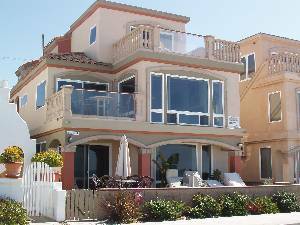 We offer luxury vacation villas in the best areas of Mission Beach. All homes are just steps to the ocean. The Sea Star is our four bedroom, three bathroom, two-story penthouse villa with all ocean facing rooms. 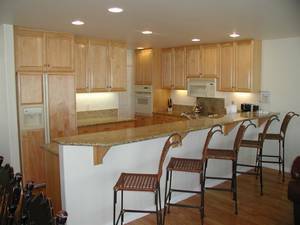 Maple cabinets, granite counters, designer furnishings, this is the ultimate. Approximately 2000 square feet, the Seastar sleeps 8 adults comfortably plus two children on portable futons. The Sea Star features a King size bed,2 Queen size beds and two Twin size beds in the 4th bedroom. 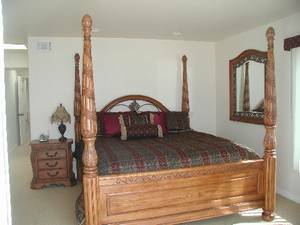 All of the bedrooms with King or Queen size beds also have private balconies. Sit back and relax, enjoy exceptional ocean views through floor to ceiling windows. 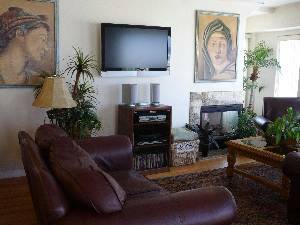 We offer private off-street 2 car garage parking, central heat, wireless high speed internet access, designer furnishings, 4 private balconies, gas barbecue, and all the amenities you need for the ultimate in vacation living - our guests are the happiest on the beach! 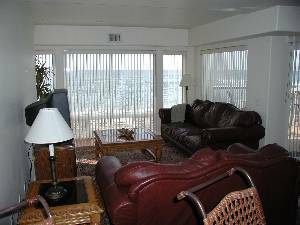 We also handle many other ocean front and bay front vacation properties - give us a call at Call / Email Owner or toll free at 888-RentPSG and let us help you plan the perfect vacation! With Pacific Sunset Group it's not just a vacation - it's an experience! The Sea Star is on the second and third floors of a three story building. Cushy, comfortable livingroom has ocean view. Gourmet kitchen with all the amenities, maple cupboards, granite counters, convection oven, side-by-side refrigerator with filtered water and ice maker, service for twelve, and more! 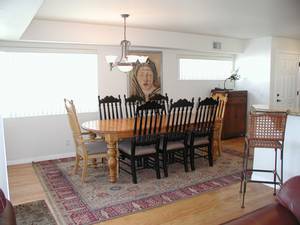 The dining room features an extra large table with seating for eight that expands to fit ten (leaf in Mission Bedroom closet), and a private ocean front balcony complete with gas grill and seating. View of the master br with 3 walls of windows facing the ocean. 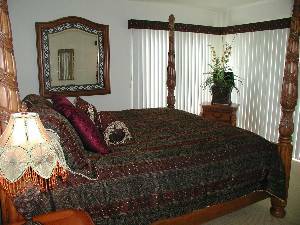 The Master Suite features a private bath with extra large spa-like tub, glass enclosed shower, double vanity, walk-in closet, cable TV, VCR, 2-line telephone, and private ocean front balcony. 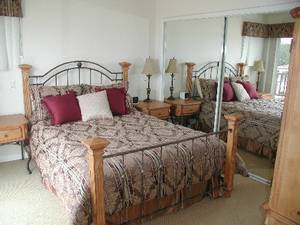 An upstairs bedroom in The Sea Star with ocean views, shared double bath, Queen size bed, cable TV, 2-line telephone, and private balcony with views galore. Holidays include: Easter (Spring Break) and Labor Day, and may include Memorial Day, Thanksgiving, Christmas, and New Years. Deposit: A $150 non-refundable holding fee is due upon verbal confirmation of rental. The reservation fee, a deposit of approximately 30%, is due within thirty (30) days of said confirmation unless otherwise specified by PSG agreement. The balance to be paid in full sixty (60) days prior to occupancy, unless otherwise specified. Cancellations and Refunds: In the event of cancellation, any monies paid shall be forfeited and may be refunded when and if the property is re-rented for the complete term of the agreement or portions thereof. We will make every effort to re-rent the property and to return those monies recuperated through re-rental providing the owner has not lost revenue. Security deposits, TOT, and cleaning fees are always returned. Other Fees: $500 security deposit refundable by mail within 30 days after premises are vacated, less any charges for damage, missing items, and / or any additional housecleaning if required. Required Stay: Saturday - Saturday in summer.